Lisa Berger has been a successful real estate advisor in the Greater Boston communities with a focus in Brookline, Chestnut Hill, Newton and Needham for over 10 years. Lisa derives her greatest satisfaction from the personal relationships she has established over the years with her clients. 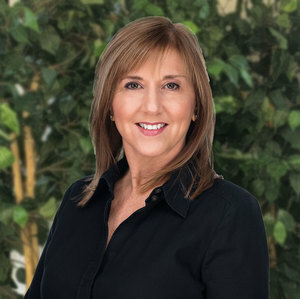 She connects buyers and sellers with an exceptional level of real estate service. Whether marketing a property or negotiating a sale, Lisa skillfully navigates both the first-time homebuyer and savvy home owner through each unique real estate transaction and changing market trends. In addition, Lisa’s hard work ethic, positive attitude and responsiveness are all part of how she achieves maximum results for her clients. Her goal is to earn your earn your respect and exceed your expectations. Ultimately, she strives to build long lasting relationships with her clients. Her educational and professional experiences in counseling and public relations makes her uniquely qualified to assess, understand and address each individual’s concerns throughout the real estate process. Lisa began her real estate career as the Director of Relocation for Savoir Faire Properties; a relocation company that specializes in moving international clients and their families to the Greater Boston areas. As a lifelong resident of the greater Boston area, Lisa has a local perspective and understanding of Brookline, Newton, Needham and the many surrounding communities her clients are looking to buy and sell.